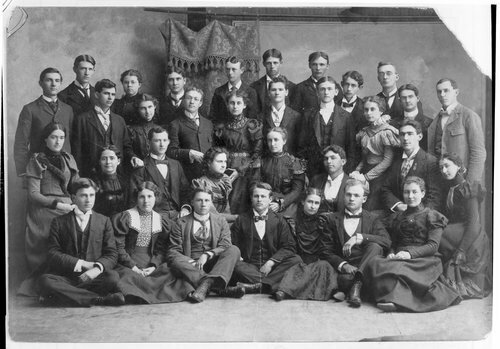 The 1901 graduating class of Ottawa University. None of the gradates are identified. The photograph was donated by Mrs. Ray Garrett.